Legionnaires Disease - What is an Expert Witness? You are here: Home / Knowledge / Guidance / Legionnaires Disease – What Is an Expert Witness? Legionnaires’ Disease – What is an Expert Witness? No doubt you’ve heard of court cases where someone has been presented as an expert witness, for example during a coroner’s inquest, a complex prosecution, a civil claim or perhaps an appeal. So, the question is what is an expert witness… well the clue is in the name: The person is considered to be an expert in a specific field of interest or topic like the control of legionella and Legionnaires’ disease. However, the role of an expert encompasses much more than this. For someone to be called upon as an expert witness, it is usually required for them to have some experience of courtroom procedures, the preparation of court documents and expert reports, and previous dealings with solicitors and barristers. There are a number of UK registers of expert witnesses that list all individuals who are confirmed to act in this role. These are often used by lawyers to identify individuals who have the relevant amount of experience that could be used to assist them in a court case they are handling. Expert Evidence is the simple term given to evidence given in court by an expert witness. There is one crucial difference between the evidence given by an expert witness when compared to evidence provided by witnesses to whatever took place. Normally, a witness must only give evidence relating to what they saw or heard, i.e. they should not make assumptions or give their opinion on what happened. This is not the case with expert witnesses. An expert witness can give an opinion based on their extensive knowledge within the subject they are expert in. How might an expert witness be of use in a case involving a Legionnaires’ disease outbreak? There is the potential for cases of Legionnaires’ disease to crop up whenever the level of Legionella bacteria increases in a water system beyond accepted legal limits. If this should occur in a workplace, or a setting where people should be responsible for health and safety and management of legionella risks, a court case may ensue. An investigation by the Health and Safety Executive (HSE) or Local Authority may lead to a case being brought before the courts, if it is believed the incident occurred through negligence. Most lawyers and other laypeople will have very little knowledge of the control of legionella and Legionnaires’ disease, beyond which they may have read or gleaned from other sources. Being able to call on the services of a legionella expert witness with in-depth knowledge of the bacteria, Legionnaires’ disease, how it develops and the precautionary measures required by law makes it easier for evidence to be presented. It also makes it easier for the judge and/or jury to come to a decision regarding the outcome of a case. During cases involving failures to adequately control Legionella bacteria and so prevent Legionnaires’ disease, an expert witness may not always be required, but they are useful to know about just in case. Legionella Control International are world-leading specialists in the control and management of legionella and Legionnaires’ disease. Our senior consultants provide specialist expert witness and litigation support services in matters relating to Legionnaires’ disease and the control and management of legionella risks. 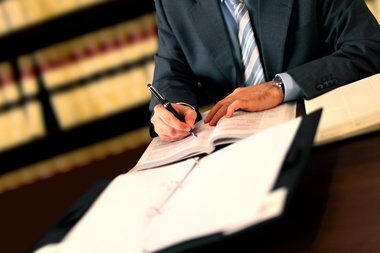 We act for a wide range of clients where prosecution or civil litigation is involved. Our expert witness services encompass a range of technical, scientific, environmental and engineering subjects directly associated with Legionnaires’ disease and the control and management of legionella risks within the built environment.